Dr. (Bishop) Mark L. Conley, 59, of Fremont, OH passed away unexpectedly on Saturday, January 20, 2018 at Firelands Regional Center in Sandusky, OH. He was born on April 29, 1958 in Fremont, the son of James Conley and Adele (Lee) Conley-Bowling. He was a 1976 graduate of Fremont Ross High School. Mark received a Bachelor’s Degree in Religion from University of Findlay and a Doctorate in Divinity from North Tennessee Bible Institute. He also received a Diploma of Pastoral Studies from Winebrenner Theological Seminary in Findlay, OH. Mark married Cynthia J. Burel on February 23, 1985 at Grace Brethren Church and she survives. He was a Highway Transportation Manager at ODOT where he was employed for twenty-nine years until he retired in 2017. He was also a licensed barber and cosmetologist. Dr. Conley was the Founding Pastor of Sanctuary Chapel in Fremont and Pastor of the Solid Rock COGIC in Marion, OH. He was consecrated a Bishop at Rivers of Living Waters International by Bishop Robert Jones. 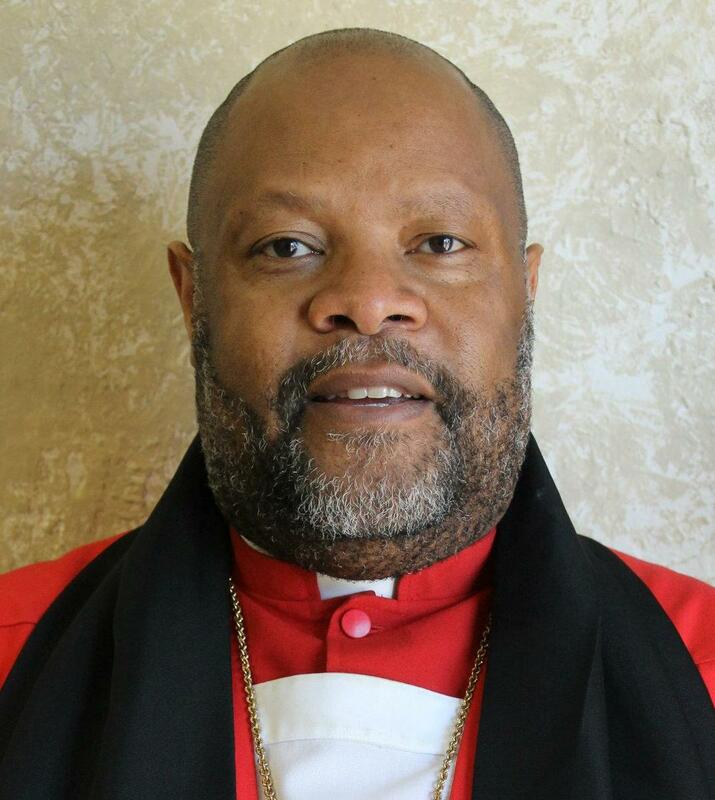 Dr. Conley was then made Bishop of the Southern Episcopal Church of Nashville, TN by Bishop H. Manning. He was also a Cub Master of Pack 302. Mark is survived by his wife of thirty-two years, Cynthia J. Conley, Fremont, OH; children, Phillip Eric and Evan Jerome Conley, Ponce Erica (Richard) Norris and Pagil Elizabeth Conley; mother, Adele Conley-Bowling; grandson, Joseph C. Conley; siblings, Mary A. Hall and James (Deb) Conley; many nieces and nephews. He was preceded in death by his father, James Conley; step father, Percy Bowling. Service: Saturday, January 27, 2018; 11:00 a.m. at The Church on 53, 1105 CR 41, Fremont, with an hour of visitation prior to the service at the church. Bishop David L. Herron will preside. I was so shocked to hear of Mark’s death. My heart goes out to the family. I am praying for peace and comfort for all. My heartfelt love and condolences to the entire Conley and Burel Family..Cindi, you already know that I love you dearly and you are in my prayers..I know your flesh is hurting, and you would give anything to have Mark back..now think of the glorious time he is having in heaven…May God bless you! May loving memories bring comfort to you at this time of sadness. The body of Christ at Greater St. James Church extends our deepest, most sincere and heartfelt condolences to the Conley family. We are confident if you continue to rely on God, he will comfort you and see you through during this time of bereavement. My heart is aching for you all. Sending my love and sympathy. We share in your sorrow. Bishop Mark was such a blessing. We know that God has work for him in Heaven. Our prayers and thoughts are with you. Cindy, our deepest sympathy to you and the family. We were shocked to hear of Mark’s passing. I’m praying for you, and whatever I can do I’m just a call away. Earth has no pain or sorrow, the Lord can’t heal and give comfort…. you in this time of sorrow. Our prayers are with you in your time of loss. If there is anything as a church body that we can do for you please do not hesitate to ask. Remember that our prayers are with all of you. Mark was a great man with a loving spirit and a wonderful sense of humor. We are truly saddened to hear of his sudden passing. From a fellow Wolverine ][\/][, we sure lost a good one. Our hearts and minds are with Mark’s Family. My condolences to both the immediate and extended family. You have my continued prayers. I am glad that I had the opportunity to work with him years ago with the Stamm PTO and later to recommend him for a holyland pilgrimage along with Charles Eberhardt. He was a great Christian and very caring of everyone. The world is better for him being here with us for awhile. He has certainly returned to his true home in heaven. May God bless your family in this time of transition and may his blessings continue to surround your lives. My heart goes out to you and yours. May the Lord give you peace and comfort during this chapter of your life. What a shock and tremendous loss to the family and the earthly Kingdom. We have lost a true soldier and watchman on the wall. Heaven has gained a true warrior. One of your last posts on FB spoke of the journey being rough but, the arrival was worth the effort. We will miss your smile and wisdom, but never forget the tidbits of knowledge you shared along the way. Welcome to your eternal rest. Cyndi and family, know that our prayers are with you and we’re only a phone call away! So sorry to hear of Mark’s passing. I remember Mark from visiting his hair shop in Fostoria. It was alsways a pleasure to talk with him. My condolences. Cindy. I am so sorry to hear sbout Mark. Sending prayers to you and your family. Condolences to the family, so sorry to hear of your loss. Rest in heaven old friend. May the God of hope fill you with all joy and peace, as you trust Him. Bishop Mark has left a great legacy in the Lord’s service. May he rest in peace. So sorry to hear about Mark. You are in our prayers. We graduated high school together and I will forever remember his outstanding character. He officiated me and Dallas’ wedding so your family will always hold a special place in our thoughts. Bishop Conley, You will truly be missed. Words cannot express my gratitude for your life and the influence you made on the people around you. Sis Conley, you and your family are in my thoughts and prayers. Thank you for sharing Bishop Conleys wonderful life with us! I love you and God will continue to carry you through. My heartfelt and sincere condolences and prayers. The Bishop was a “special” man to all that ever has come into contact with him. You and he will remain in our hearts, thoughts and prayers. Very sorry and sorrowful to be left by Bishop Conley. May our Almighty God rest his soul in eternal peace. Our deepest sympathies: To Cynthia, and the Conley family, of in the midst of this tremendous loss of your loved one. May The Lord bring you comfort during this season of mourning.